Google's $35 streaming stick is quickly catching up to boxes like Apple TV and Roku as more and more apps add support. 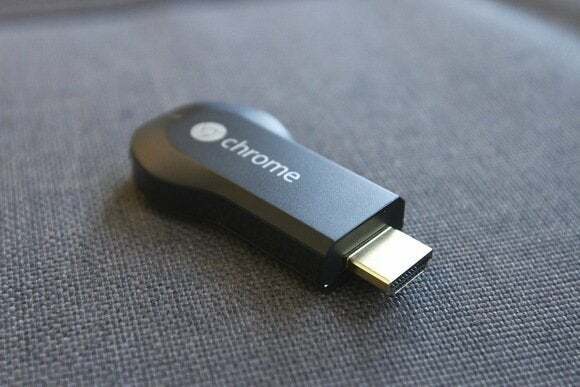 The Chromecast is a great little streaming stick, but it really makes you work. The Roku Streaming Stick comes with a remote and the familiar Roku channel store, so it’s abundantly clear what works with the stick and how to get it. 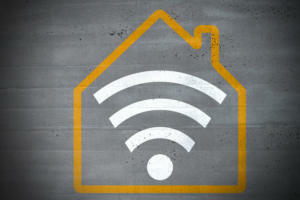 But the remote-less Chromecast is controlled by compatible apps on Android and iOS phones and tablets, or compatible websites in the Chrome browser. 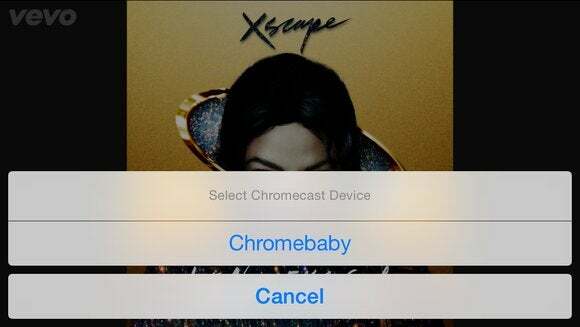 If you don’t know what apps work with your Chromecast, you might only be using it to a fraction of its true abilities. Thanks to an open SDK, the holes in the platform are starting to fill in. 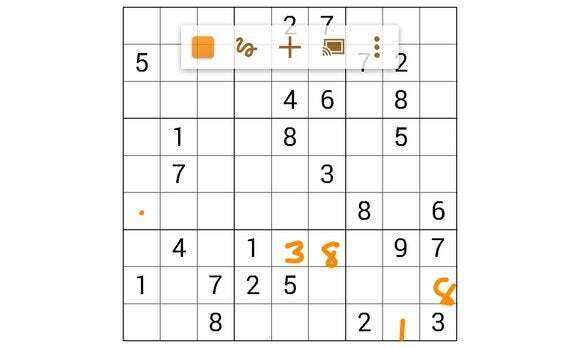 Some devs are even experimenting with simple games and collaborative drawing apps; we included a couple that have potential. 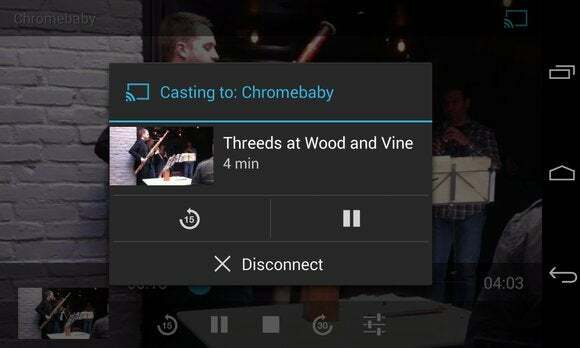 If we missed your favorite Chromecast app, please let us know in the comments! These days, it seems like anywhere there’s a screen, there’s a way to watch Netflix on that screen. The $8/month streaming service was a launch partner for Chromecast, so from Day 1 you could easily stream movies and TV shows to a Chromecast from either the Netflix web player, or the iOS and Android apps. Your device acts as the remote, and if you’re using one of the mobile apps, once you cast the video, you can close the app and use something else, put your device to sleep, or even leave the room. 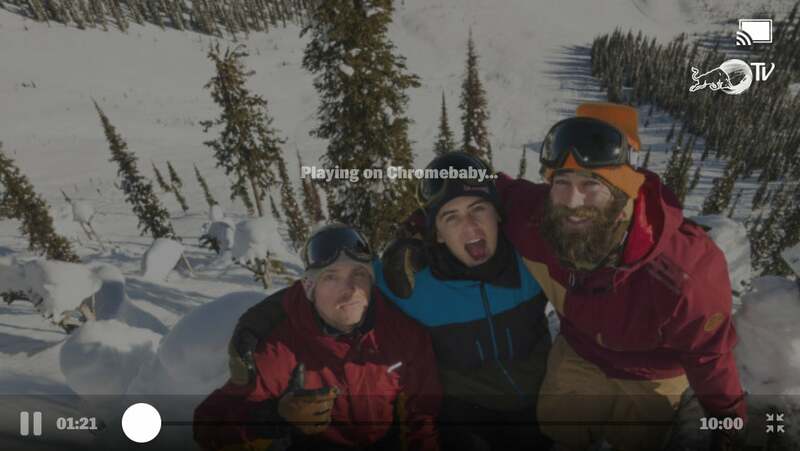 The video keeps playing, because the Chromecast is streaming it directly from the Internet; it’s not being mirrored from your device’s screen to the TV. 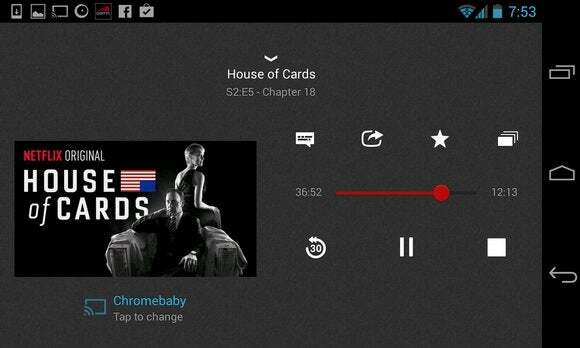 That makes Chromecast one of the most convenient ways to watch Netflix—as long as you’ve got a mobile device handy. For people with an HBO subscription, HBO Go is the best—you get on-demand access to tons of movies and pretty much all of HBO’s original shows (Game of Thrones, The Wire, The Sopranos, and so, so much more), on a wide range of devices. But you have to log in via your cable provider, and some cable companies don’t allow access on every device: Comcast customers can’t watch HBO Go on the Roku, for example, and it’s infuriating. 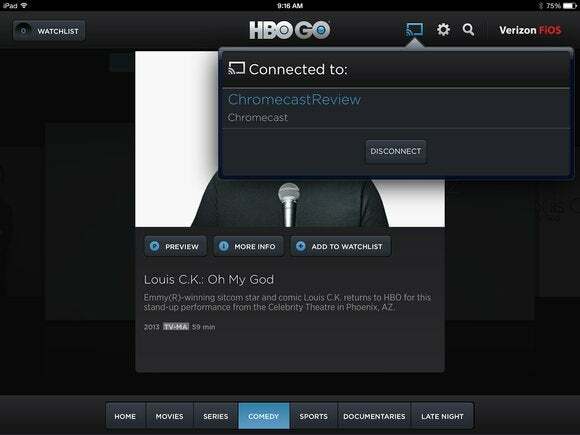 Luckily, the Android and iOS apps for HBO Go are open to Comcast and tons of other cable providers, and then you can get the shows to your TV with your trusty Chromecast. 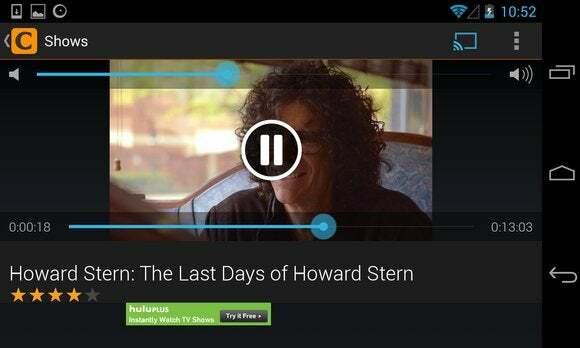 A favorite among cord cutters, subscription-based Hulu Plus gives you access to a handful of original shows, plus TV shows (past and current seasons) from a bunch of networks, and the movie selection is a decent but smaller than Amazon Instant and Netflix. Hulu has apps on tons of devices, so it’s no shock that the the Android and iOS apps have Chromecast support. As of today, you have to subscribe to Hulu Plus ($8/month after a free one-week trial) to see much of anything in the mobile apps. Non-subscribers can watch some shows free on Hulu.com, but only short clips on mobile. Just last week, Hulu announced that anyone will be able to see a selection of shows for free—with ads—in the mobile app. Ready for Chromecasting! Crackle has a lot of strong content, but the best part is, there’s no subscription fee and you don’t even need to log in. You can cast videos to your Chromecast with Crackle’s Chrome web app, or the mobile apps for Android and iOS. Your mobile device becomes a nicely executed remote, with a huge pause button and handy sliders to tweak the volume and to scrub through the movie. If you do create an account, watchlists you create will sync across all devices. What better way to remind yourself to watch all four Tremors movies? Major League Baseball puts its MLB.TV Premium streaming service on a several devices, as well as baking it into the super fun MLB.com At Bat mobile apps. 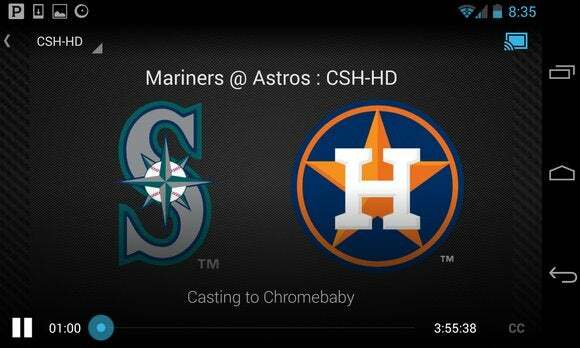 The iOS and Android versions let MLB.TV Premium subscribers (who pay $130 per season) cast video of every game to a Chromecast. But even if you don’t shell out the big bucks, MLB.com At Bat has a smaller subscription ($3 per month or $20 per season) that includes access to streaming audio of every game, and video of the MLB.TV Game of the Day. You can’t send the audio streams to your Chromecast, but the Game of the Day is fair, uh, game. It’d be neat if, say, the app showed you the Gameday feature or even just relevant stats on your device’s screen while the game played on your TV. As a Cubs fan would say, maybe next year. Vevo is all about music videos, both brand-new stuff and the old classics that blew your much-younger mind back when MTV played them. As long as you can suffer a few commercials here and there, Vevo’s videos and playlists are easy to search for and fun to watch. 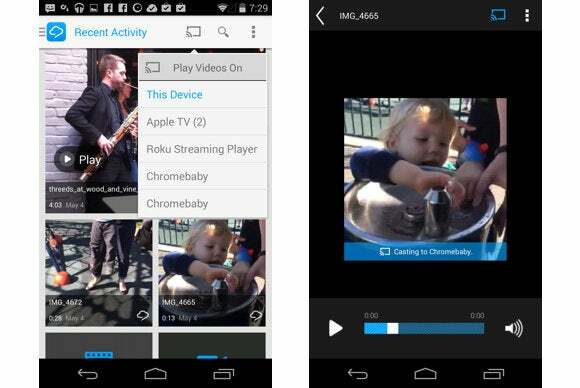 And Chromecast support is baked into the web app in Chrome, plus the free mobile apps for Android and iOS. If you like extreme sports at all (skateboarding, motorsports, snowboarding, water sports, anything really fast and dangerous), the free Red Bull.TV apps for iOS, Android, and Chrome will stream plenty of high-octane clips, shows, and live event series to your TV. The casting was a little finicky, though, with many shows freezing up and too-frequent app crashes—performance actually seemed a little better on iOS than Android. Hopefully with updates the streaming, if not the athletes, can become more stable. While it’s possible to cast locally stored videos to your Chromecast via the Chrome browser, it’s easier—and a lot prettier—to use Plex. All you have to do is install Plex Media Server on your computer, and you can stream your beautifully organized personal media collection to a variety of devices. The $5 Android and iOS apps let you access music, videos, and photos from your media server on the go, as well cast them to Chromecast. To use a Chromecast without buying the mobile app, just start a casting session from the Plex web app in your Chrome browser. At first Chromecast support was reserved for Plex Pass subscribers ($4/month, $30/year, $75/lifetime), but as of now free accounts can use it too. A big advantage to the Google Play Movies & TV store is its cross-platform mobile apps for iOS and Android, not to mention the apps' Chromecast support. On the Android side you can buy or rent movies or buy TV shows right from the app, but for iOS you have to purchase or rent your videos on the web first, then play them back in the app. (That’s so Google doesn’t have to pay Apple a 30 percent cut of all such in-app purchases.) 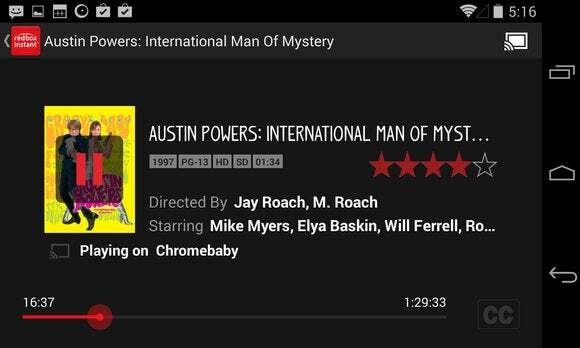 And of course, you can easily stream videos from Google Play’s web player in Chrome to a Chromecast too. Google’s All Access service ($10/month, 30-day trial) lets you store your own music in the cloud, plus listen to anything from the Play store’s catalog, using a web client or mobile apps for Android and even iOS. 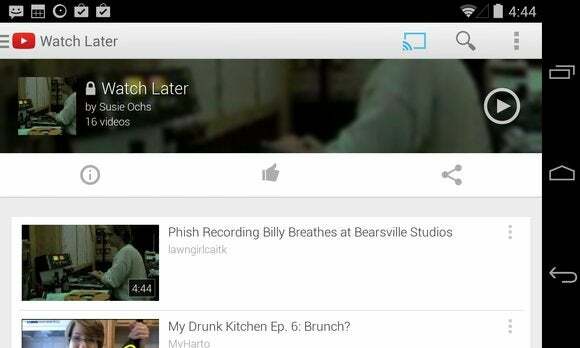 And since the apps are made by Google, they all support Chromecast. The TV interface is one of the best, with a full-screen zoom of the album cover, and then a smaller version that moves around the screen to prevent burn-in. 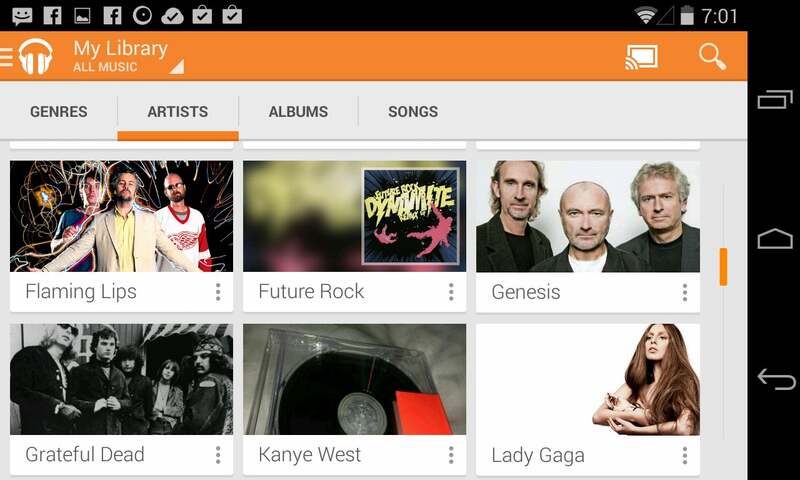 But you don’t even need to be an All Access subscriber to use the Google Play Music apps with your Chromecast. 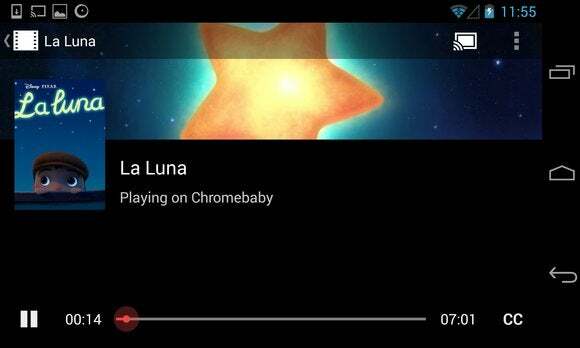 With the free standard service, whatever you’ve purchased from the Play Store is available to stream from the Web client or the mobile apps anytime, and you can even upload your own music through the Chrome browser, up to 20,000 tracks. It’s all free, and if you have a Chromecast, it’s an incredibly tempting reason to make the Google Play Store your digital music seller of choice. 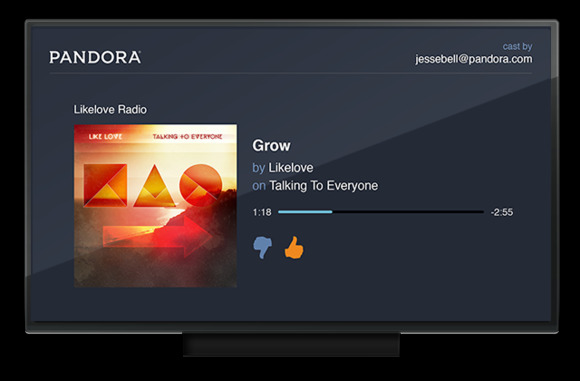 Pandora creates personalized radio stations based on genres or artists, and an ad-free Pandora One subscription runs just $5 per month. But the free account offers unlimited ad-supported streaming too, even over the iOS and Android apps. Both of those apps support Chromecast, and you can start casting audio to your TV and whatever glorious sound bar or home theater gear it’s using, and then still use your mobile device for whatever, popping back in to the app sporadially to give a track the thumbs-up or -down or switch stations. Sounds good, right? 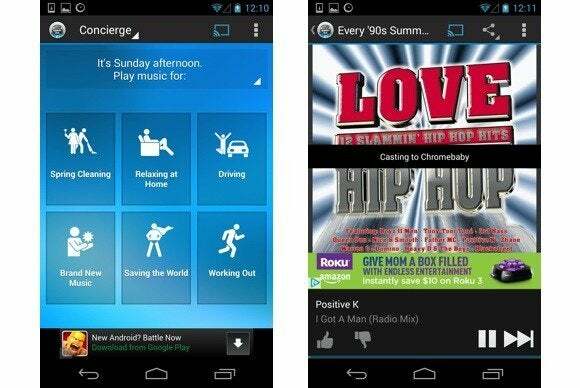 Songza is definitely the app you need when you want to pump some tunes, but you’re not really sure what to play. 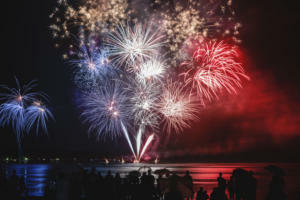 Its Concierge feature is always ready to suggest expertly curated playlists based on what time of day it is, what you're doing, even the weather! You’re only allowed to skip a handful of songs per hour of listening, but there are no audio ads breaking up the music, just (easily ignored) banner ads on your device’s screen. Other than that, the service is totally free. 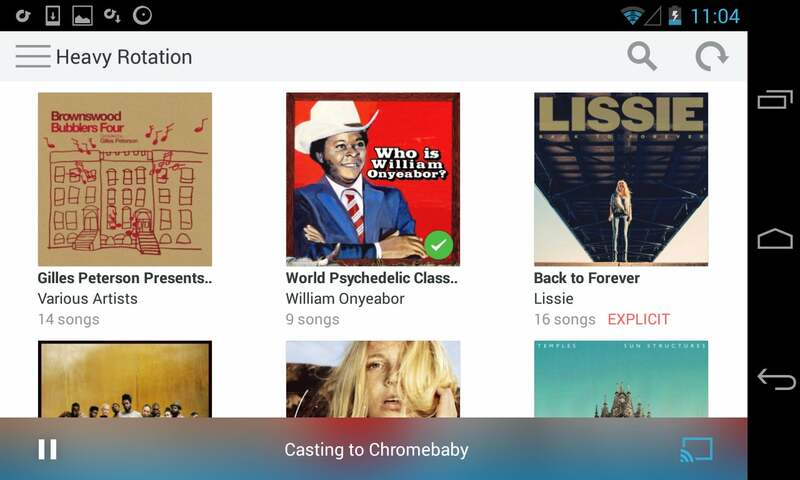 Chromecast streaming is a piece of cake from Songza’s free apps for iOS and Android, as well as the slickly designed web player. Casting music from Rdio’s app for Android and iOS to a Chromecast is a great experience on the mobile device, but the TV interface could use a little sprucing up or even just a screensaver mode. An unlimited Rdio account runs $10 a month after a free two-week trial, but free accounts can use the Chromecast feature too. You’ll just be streaming ad-supported stations instead of albums. Over on the desktop, you can send music from Rdio to the Chromecast with the web app, but not the Rdio desktop clients. Weirdly, the free, ad-supported, radio-stations account only works in the mobile apps. All desktop users can get for free right now is the two-week trial of the unlimited service, although unlimited Web-only streaming is just $5 a month, and a free, ad-supported tier is coming later this year. 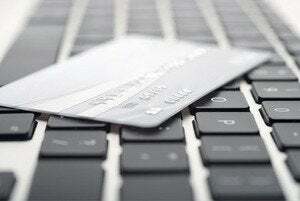 Redbox isn’t just the disc-renting kiosk at the grocery store. Its Redbox Instant by Verizon service harkens back to the old Blockbuster Online days by giving you unlimited streaming plus 4 DVD credits for the kiosk for $8 a month. You can watch the streaming flicks in your browser or on various devices, and the iOS and Android apps both support casting to a Chromecast. 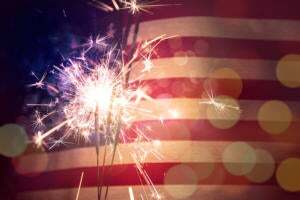 The first month is free, so it’s worth checking out, but unless you’re already renting a bunch of movies from the kiosk, it’s a hard sell compared to the larger libraries of Amazon Instant Video and Netflix. Another Chromecast launch partner, Google-owned YouTube lets you cast videos to your TV from the YouTube site in Chrome, or the official apps for Android and iOS. One great way to use the Chromecast feature is to load up videos in your Watch Later playlist as you stumble across them throughout day (you know, when you’re supposed to be working), and then cast that whole lot to your Chromecast as you’re kicking back on the couch at night. RealPlayer Cloud is basically easy cloud storage for your personal videos, say, the ones you’re constantly shooting on your phone and then throwing in your Dropbox to probably never see the light of day again. Free accounts come with 2GB of storage and upgrade plans run $5/month for 25GB to $30/month for 300GB. You upload videos of 15 minutes or less from the mobile apps or the website, and you get easy-to-share links for friends and family to view the videos on almost any device. If you’re just trying to see those videos on your HDTV, you can stream them to your Chromecast from the web app in Chrome, or the free apps for iOS and Android. This one is made for parties. 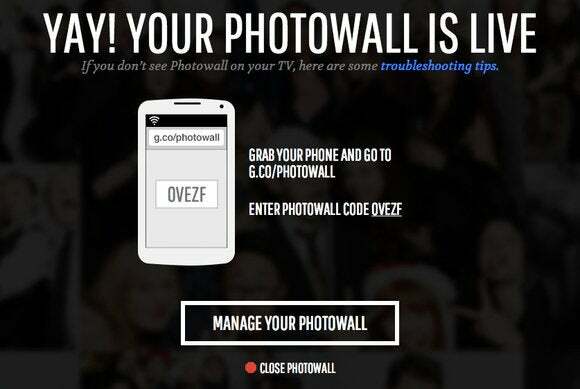 First you use the Photowall app for iOS, or Android, or Chrome to link to your Chromecast and start a “photowall” on your TV. 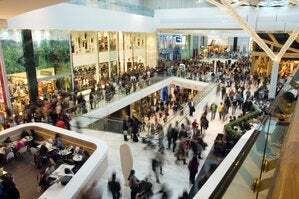 That displays a short URL and five-letter code, and anyone else around can just navigate to that URL with their mobile phone (preferably using the Chrome browser) and send photos to the wall. You can even add captions and doodles before casting them. On the TV, those photos appear as tiles that shift and slide around, so the more pictures the merrier. You can even opt to save a video of your Photowall once it’s all done. It really needs an option to pipe in music, though—on its own, Photowall isn’t fun enough to stop the party if you’re already streaming music to your Chromecast with Rdio, Songza, Google Play Music, or Vevo. If you’ve played Threes, you’ve probably also played its doppelganger 2048: It’s a little puzzle game where you swipe numbers around on a grid to combine pairs into bigger numbers, hoping to go from 2 to 2048. 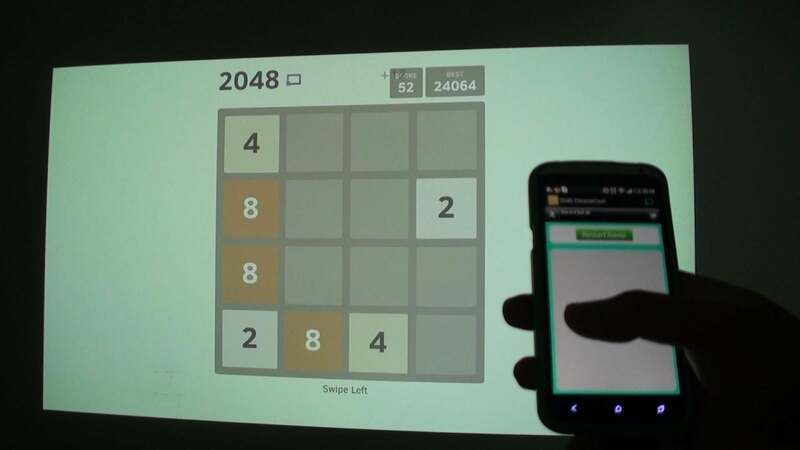 Gimmicky apps with Chromecast support let you see the game board on your TV and use your phone as a controller. This version for iOS is free but horribly laggy—swipes take so long to register that you swipe again, and then both swipes happen on the TV, messing up your board. This other free iOS version has a pretty ugly D-pad but at least it’s responsive. Android has a couple versions too: This SunnyDev version and this one by TalkLittle, both free, both a little laggy and nothing special. You might as well just play it on your phone, honestly. 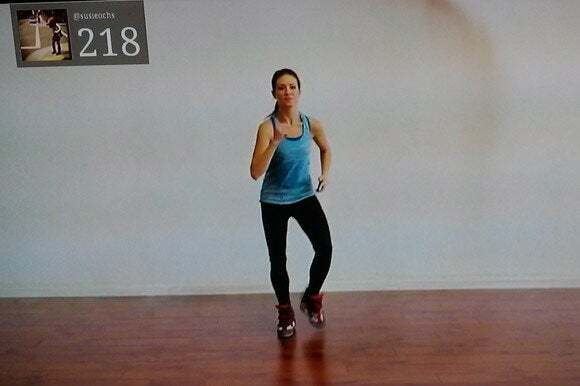 Jamo, an iOS-only exercise app, nails the Chromecast gaming experience, because instead of using the iPhone to control the action, all you do is hold the iPhone while you dance along to a video, beamed to your TV via Chromecast or Apple TV. (If you’re, say, traveling, you can even send the video over to your laptop’s browser, no Chromecast required.) As you copy the onscreen dancer’s moves, your iPhone detects your motion, and your score on the TV screen inches higher. You can compete head-to-head against a friend or stranger, or just play on your own and post your high scores to social media for your friends to beat. The app is free, and there are a couple dozen free tracks to dance to, while others cost $1-$2 via in-app purchase. It’s really fun, and a lot cheaper than a motion-detecting game console. Rube is our favorite of the handful of collaborative doodling apps for Chromecast. 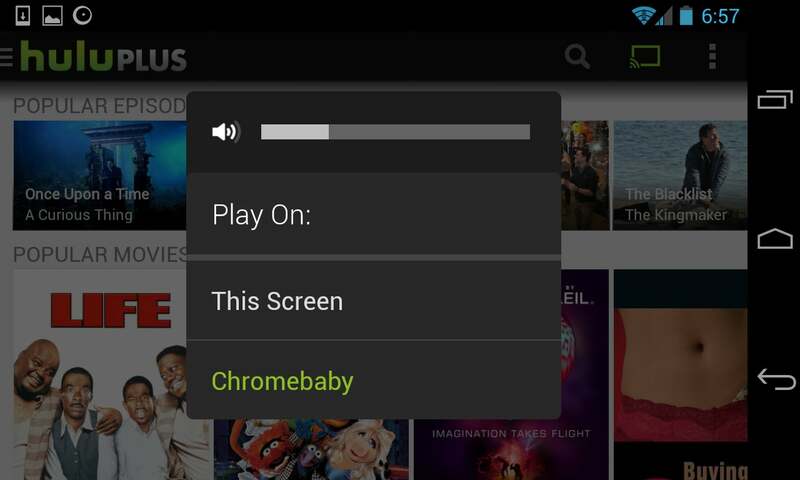 You install the free app on one or more Android devices, then link them to your Chromecast, and whatever you draw on your devices' screens also shows up on the TV. 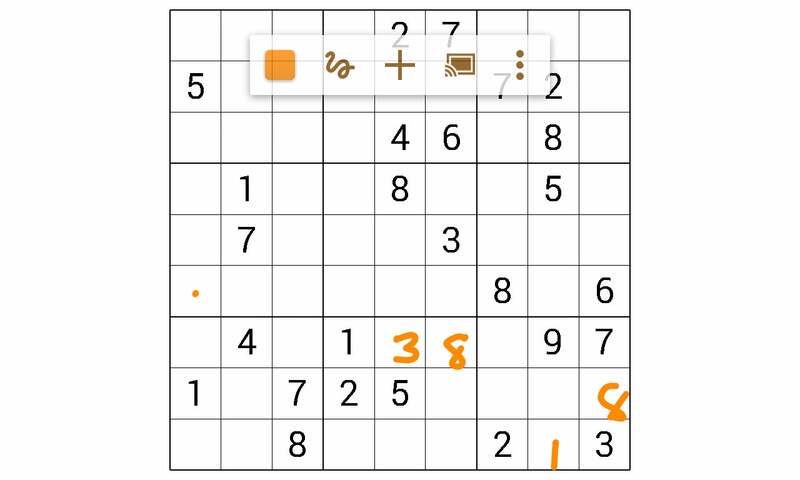 It’s got just enough lag to make it annoying for Pictionary (free Android app CastPad works a little better), but we dig it because it can also generate game boards for sudoku, word searches, and Loop the Loop, plus paper with dots on it for Dots and Boxes.